"Cold Crush." Is love in the air - or is that just frost? 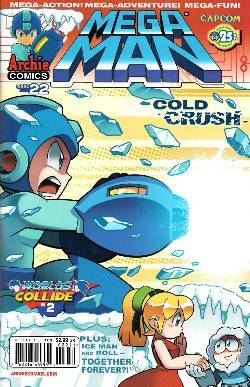 Mega Man, Roll, and Quake Woman go to the far north to assist Ice Man in a perilous research mission. Will Roll's attempt at match-making be more hazardous than the ice?